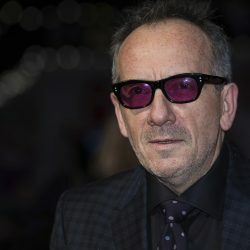 Elvis Costello canceled the six remaining shows of his summer European tour with his band, the Imposters, on Friday, revealing that he had undergone surgery for a “small but very aggressive cancerous malignancy” and recovery required his full attention. The 63-year-old singer released a statement via his website. He said he had received the diagnosis from his doctor six weeks ago and, upon learning that surgery recommended three to four weeks of recovery, was delighted to continue with the tour as scheduled. Elvis Costello in London in October 2017. “It was impossible to judge how this advisory would line up with the demands on a traveling musician, playing 90-minute to 2-hour plus performances on a nightly basis but by the time we reached the Edinburgh Playhouse, I was almost fooled into thinking that normal service had been resumed,” he wrote. In late June, Costello canceled two concerts citing recovery issues. The canceled gigs include stops in Britain, Croatia, Austria, Norway and Sweden. While Costello did not reveal any specifics regarding his diagnosis, he did close with a request for his male fans, urging them to talk to their friends. “You’ll find you are not alone — seek your doctor’s advice if you are in doubt or when it is timely and act as swiftly as you may in these matters. It may save your life,” he wrote. “Believe me, it is better than playing roulette,” Costello added. Costello’s statement is available to read in full on his website. The artist is still scheduled for a full U.S. tour later this year.